"The hour of my lesson with Carter is the fastest hour of my week." 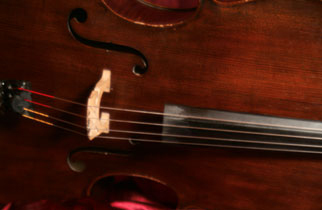 If you live in Orange County, California and are interested in individual cello instruction, look no further. I am a highly experienced teacher and performer based in Tustin, California. I teach either in my studio or in your home (within a 25 mile radius of Tustin). I have over 25 years of teaching and playing experience and hold a Doctorate of Musical Arts. I have a solid classical background and also perform jazz, electronic, and pop music. As such, I can instruct students in a wide variety of styles, including teaching improvisation skills. I create individually-tailored practice plans, videos, and recordings and write custom etudes to maximize learning. I integrate theory fundamentals into all lessons and can provide in-depth theory instruction upon request. I have experience teaching students who have playing injuries; I suffered for years from tendonitis and other playing injuries and have explored many types of physical therapy. Most importantly, I love the cello - and teaching. Please browse through this site to learn more about me and my teaching methodology. If you are looking for an instructor who reaches outside the box for teaching strategies that will quickly and effectively develop your skills while increasing your love for the instrument, please call for a free consultation. I can be contacted directly at (310) 721-0926. Visit the OC Cello Choir website to see more videos. Participation in the cello choir is free for all of my students, and I write custom arrangements so that even beginners can perform in the group. 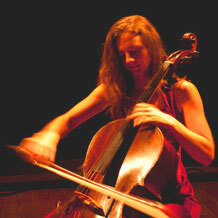 The OC Cello Choir performs three times each year in different venues throughout Southern California. The group enjoys sharing the gift of music with others. Participation in the cello choir is free for all of my students, and I write custom arrangements so that even beginners can perform in the group. I teach students living in Orange County, California, including Aliso Viejo, Anaheim, Anaheim Hills, Brea, Buena Park, Corona del Mar, Costa Mesa, Coto de Caza, Crystal Cove, Cypress, Dana Point, Dove Canyon, El Toro, Foothill Ranch, Fountain Valley, Garden Grove, Huntington Beach, Irvine, La Habra, La Palma, Ladera Ranch, Laguna Beach, Laguna Hills, Laguna Niguel, Laguna Woods, Lake Forest, Los Alamitos, Midway City, Mission Viejo, Modjeska Canyon, Newport Beach, Newport Coast, North Tustin, Orange, Orange Park Acres, Placentia, Portola Hills, Rancho Santa Margarita, Robinson Ranch, Rossmoor, San Clemente, San Joaquin Hills, San Juan Capistrano, Santa Ana, Santiago Canyon, Seal Beach, Silverado Canyon, Stanton, Sunset Beach, Surfside, Talega, Trabuco Canyon, Tustin, Villa Park, Westminster, and Yorba Linda. © 2009-2017 Carter Dewberry. All Rights Reserved.